So my new venture is to decide which new phone I want. 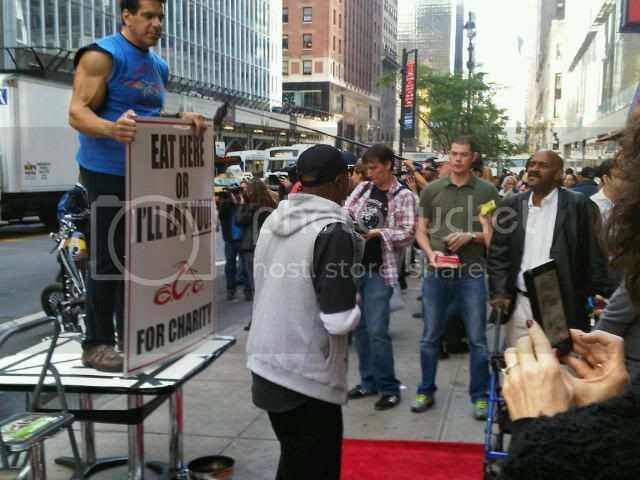 They were filming Celebrity Apprentice near my office today and I took a picture. Lou Ferrigno & Dee Schneider and Paul Sr. from Orange County Choppers is at the bottom of the picture. Here is a complete list of the celebrities that will be on the next season. I agree with Petey. It was an accident. Are you sure? Some think Humpty was pushed. Maybe we need to start a thread in "Unsolved Crimes". Or "Crimes Against Toys". ?? where did the extra leg come from? Bad Petey!!!!!!! Klaas, I sent you two pictures of my mums that are in full bloom. Would you post them for me? I so appreciate it. I am proud of these mums. Everyone comments on how beautiful they are. They keep getting better every year. Gorgeous mums Blue Moon!! Thank you for sharing. 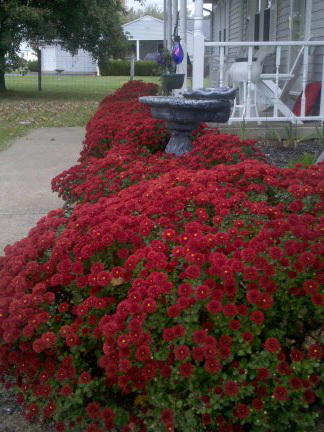 Fall is my favorite time of year and mums are a big part of fall imo. Thanks for posting the pics, Klaas. 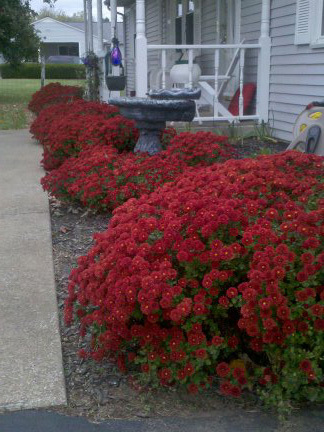 I have had these mums for about 8 years. I thought last years snow and ice would have got them for sure but they all survived. It is time to dig them up and separate them--I hate to for fear it will kill some of them. 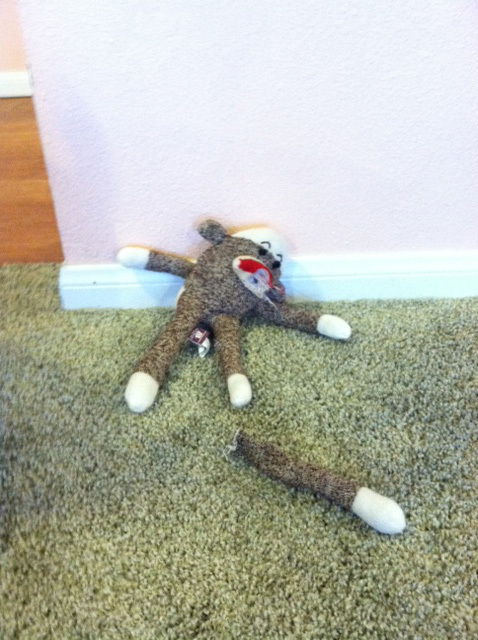 I didn't think about the tail of the monkey but what I really want to know is how did Petey manage to get the tail pulled off that monkey? No, I read an article long time ago that once they die out to let them stand and not cut them back until the spring when you see new shoots coming up. Once you see new shoots coming up then cut the old growth back and they will come back thicker then the year before. I have a problem with some of the leaves dying out, especially lately BUT lo and behold I found out my hubby is spraying weed killer on the weeds outside of the mums and the wind is blowing some of it back on the leaves. Needless to say I have had to scold him about that. He did that to my clematis vines and I told him for every one he kills I will go out and buy 2 and I broke him from that but now he is out to get my mums. BlueMoon...beautiful mums! wish I had luck growing anything..I don't! this year my plants did the best and it was because we had so much rain I think..
At least he still has stuffing...my JR's would not stand for that. He would be flatter than a pancake with poofs of stuffing all over the place! And he still has eyes, that's the first thing Scout takes care of. She must not like toys looking at her.